Ok so I was very happy using my Laura Mercier daily tinted moisturizer which I used for years until one day Birchbox sent me a sample of a Dr. Jart BB Cream. Until this point I had not even heard of the BB Cream phenomenon. 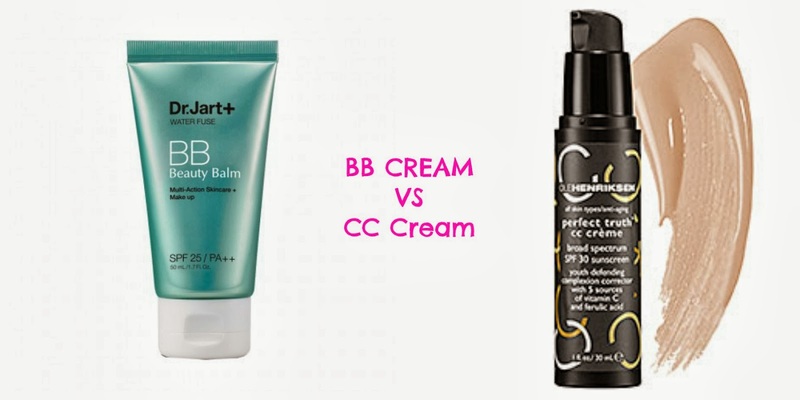 After some research I found out that BB Creams provide coverage with added skin care benefits like SPF and antioxidants. I was an immediate fan of the stuff and was thrilled to cut out some steps from my morning routine. Plus the BB Cream was a lot less dense than the tinted moisturizer that some days felt too heavy. Then one day I strolled into Sephora to buy a dozen different shades of pink lipstick (true story) and after racking up my insider points I got to choose a free sample. Now if you frequent Sephora and own an Insider’s card then you can relate to the giddy feeling when the lady at the register tells you to pick an item. Oh the joy! The choices are usually pretty stellar and you can try out some pretty neat beauty products. Anywho-I chose an OLEHENRINKSEN just to test it out. Now CC stands for “color correcting” and the products are meant to address issues like redness or blotchiness whereas BB creams are like lighter foundation with a few skin care benefits thrown into it. This specific CC Cream promises to lighten and brighten which is something that I usually look for in products so it was perfect for me. It also has just enough coverage to cover any imperfections. This CC Cream is lighter than my BB Cream and it smells amazing which I am guessing is due to the vitamin c that it promotes to have. I have to admit that I really like the CC Cream more than the BB Cream for several reasons. It glides on very smoothly andit makes my make up last longer. I have also noticed my skin getting brighter and it gives me that dewy look we all strive to perfect! I mean it’s lighter and it just does so many different things such as brightening, anti-aging and SPF 30. Don’t mind if I do.